The Q-SAFE Practical Driving Test is an on-road test taken with a Department of Transport and Main Roads testing officer. The test assesses your driving skills, decision-making, road awareness, and how you share the road with other traffic. The test itself should go for no more than 35 minutes though you should allow an hour to complete all relevant administrative activities before and after the test. The Department of Transport and Main Roads have produced Your Guide to the Q-SAFE: Practical Driving Test aimed to assist in preparing for the test. QLD Driving Test provides a summary of this guide. 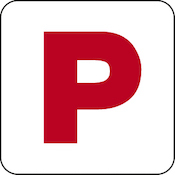 This summary focuses on the most relevant and vital information that can contribute to your success in the Practical Driving Test and is a highly recommended resource as you prepare for the test. You should also consult Your Keys to Driving in Queensland and the QLD Driving Test Summary of that document as it contains important information on the Q-SAFE Practical Driving Test. It is important to remember that you are under no pressure to take the test as soon as you qualify. The most important thing is that you’re ready to drive unsupervised should you pass. As such, you can continue to practice on your learner licence until you feel confident in your ability to drive independently and safely. If necessary you can renew your learner licence after 3 years, although your pass mark for the Written Road Rules Test is only valid for 5 years. You should arrive at least 10 minutes before your test with all forms complete. A customer service officer must witness your signature on the Driver Licence Application. Before the driving component of the test begins, you will have to complete a pre-drive check in which you will be required to locate and explain the operation of a number of vehicle controls. Throughout the performance checks and manoeuvres you will be judged based on the number and seriousness of the errors you make. For full details, please consult the Your Guide to the Q-SAFE: Practical Driving Test document and the QLD Driving Test Summary. If you pass, you’ll be issued with your red Ps (people under 25) or your green Ps (people 25 and over) and can drive without supervision!